Camanachd Association recieves £9700 to help engage young people from across the country in the sport. The Camanachd Association has received more than £9,000 in funding to help sustain the future of shinty across the north. 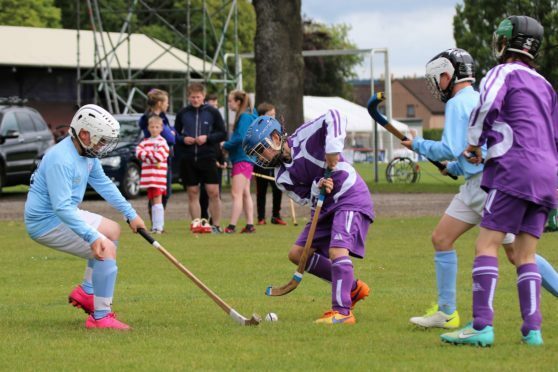 The governing body of the sport was awarded the £9,700 grant by the Year of Young People National Lottery Fund to help increase participation in a new Shinty Ambassador Programme. The programme is being rolled out across 12 high schools across the country. Camanchd Associaiton president Keith Loades said: “It has been excellent to have young people involved in the programme design process and it’s clear to see the Shinty Ambassador Programme is something that will benefit schools and their pupils. This award comes just weeks after Camanachd Association chief executive officer Derek Keir met with MSP Kate Forbes, Councillor John Finlayson and Highland Council’s education chief Jim Steven to discuss how to raise the profile of the game in schools. North politician Kate Forbes said this cash injection will help bring their ideas to fruition, adding: “One of the things that we discussed was to identify ways of promoting the game more, and also ensure that there are enough opportunities for young people to play as part of PE. The association, which celebrates its 125th anniversary next month, is one of five recipients in the Highlands receiving a share of the funds £475,000 cash pot. Charity Waverley Care received £10,000 to help improve sexual health educaton in the north, as Kinlochlovin wants to engage young people in local heritage and culture. Meanwhile, High Life Highland were awarded £9,000 to design and develop a ‘choose to lead award’ in celebration of culture, learning, sport and leisure, as Broadford Youth Club received £6,900 to provide provisions and activities for girls across the region.